One of my previous posts dealt with the role played by Shelston IP and AJ Park in the South East. They basically serve the agenda of what’s sometimes referred to as the “Empire of Corporations” (class, not geography; multinational imperialism by profit, not people). The EPO under Battistelli is pretty much the same and the EPO now relies on globalisation to drive the agenda of the super-rich (already enjoying special EPO treatment), like those whom Battistelli like to hang out with a lot (Sarkozy, Lagarde and billionaires). For one, the opinion polls in the UK are now pointing ever-more firmly towards a win for the Leave side in the country’s upcoming referendum on its membership of the European Union. As discussed on here previously, should Brexit be the result on 23rd June that is likely to have major implications for the future of the Unified Patent Court. It will be interesting to hear what people have to say about this. My sense is that very few have registered that it could happen, but there is now a very real possibility it will. The consequences for the global patent market could be pretty negative – especially given the current uncertainties in the US, another issue that we will be focusing on over the next two days. Let is be clear that the UPC helps patent trolls, multinational giants, and software patents (i.e. all the things IAM loves so much). There are many legitimate reasons for staying in the EU, but UPC isn’t one of them, unless you’re IAM or a patent lawyer. The above serves to illustrate just to what degree forces associated with the EPO and with patent chaos push agenda here. It’s almost as though Europe’s patent policy totally ignores the interests of the European people and is steered directly (and usually behind closed doors) by a bunch of patent lawyers and profiteers. This is appalling, but it doesn’t just happen in Europe. It’s an international problem. This does not suggest that all patents are bad, but some oughtn’t be granted and there are domains, such as the abstract or nature, which oughtn’t be covered by patents. The article, as an example, says that “a patent dispute between biotech companies Sequenom and Ariosa Diagnostics on a related theme—the analysis of naturally occurring fetal DNA” is not good. Almost everyone would agree, except perhaps the giants that are already worth billions and established a monopoly using patents on things which they did not even develop (maybe merely discovered or utilised). 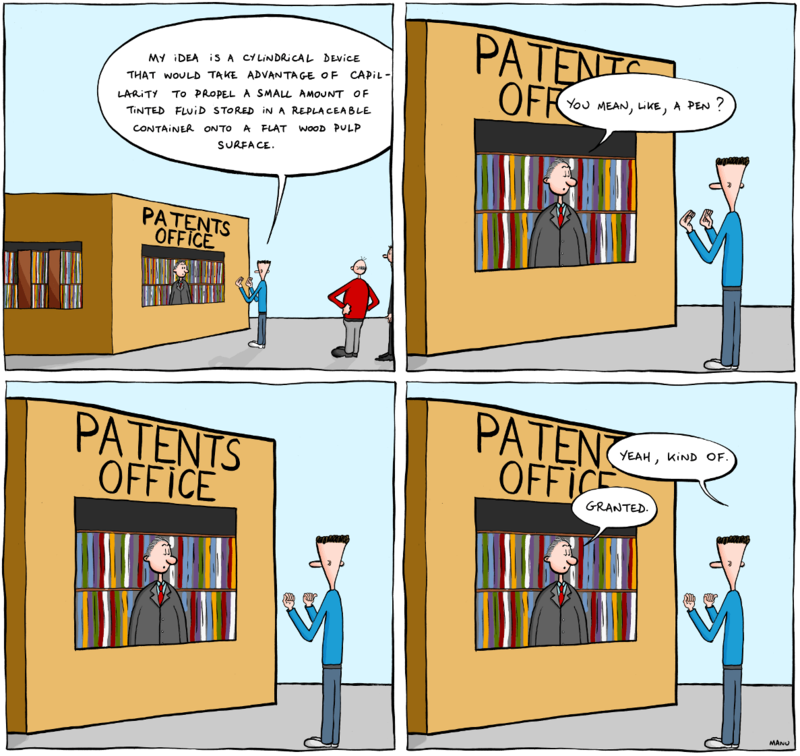 It’s not always patenting that works best to promote innovation (if patents promote innovation in the first place). There are alternative routes of operation and even protection of one’s ‘secret sauce’ (or source code): for example, copyright law for software. China will hopefully not be fooled by these policies in Hong Kong which would hurt the Chinese economy, unless Beijing wishes to see more Chinese giants becoming victims of Microsoft blackmail.